Some of the tribes in Germania during the period of the Roman empire. Arrows show directions of known movement. The Bructeri (Greek Βρούκτεροι; but Βουσάκτεροι in Strabo) were a Germanic tribe in Roman imperial times, located in northwestern Germany, in present-day North Rhine-Westphalia. Their territory included both sides of the upper Ems (Latin Amisia) and Lippe (Latin Luppia) rivers. At its greatest extent, their territory apparently stretched between the vicinities of the Rhine in the west and the Teutoburg Forest and Weser river in the east. In late Roman times they moved south to settle upon the east bank of the Rhine facing Cologne, an area later known as the kingdom of the Ripuarian Franks. The Bructeri formed an alliance with the Cherusci, the Marsi, the Chatti, Sicambri, and the Chauci, under the leadership of Arminius, that defeated the Roman General Varus and annihilated his three legions at the Battle of Teutoburg Forest in 9 AD. Six years later, one of the generals serving under Germanicus, L. Stertinius defeated the Bructeri near the Ems and devastated their lands. Among the booty captured by Stertinius was the eagle standard of Legio XIX that had been lost at Teutoburg Forest. "The troops were then marched to the furthest frontier of the Bructeri, and all the country between the rivers Amisia and Luppia was ravaged, not far from the forest of Teutoburgium, where the remains of Varus and his legions were said to lie unburied." The Bructeri in 69-70 participated in the Batavian rebellion. The best known of the Bructeri was their wise virgin Veleda, the spiritual leader of the Batavi rising, regarded as a goddess. She foretold the success of the Germans against the Roman legions during the Batavian revolt. A Roman Munius Lupercus was sent to offer her gifts but was murdered on the road. The inhabitants of Cologne, the Ubii, asked for her as an arbiter, "they were not, however, allowed to approach or address Veleda herself. In order to inspire them with more respect they were prevented from seeing her. She dwelt in a lofty tower, and one of her relatives, chosen for the purpose, conveyed, like the messenger of a divinity, the questions and answers." The Bructeri were sometimes divided into major and minor divisions. Strabo (64/63 BC – c. 24 AD) describes the Lippe river running through the territory of the lesser Bructeri, about 600 stadia from the Rhine. 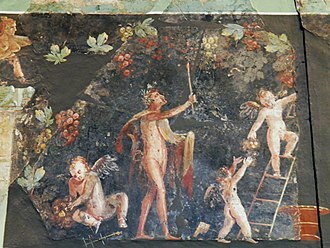 Ptolemy (c. AD 90 – c. AD 168) says that lesser Bructeri and the Sicambri occupied the area just to the north of the Rhine. Both authors agree that the greater Bructeri in their time lived between the Ems and the Weser, to the south of a part of the Chauci. Tacitus (56 AD – 117 AD) on the other hand, states that the Bructeri had been forced from their territory, which he describes as having been north of the Tencteri who were on the Rhine at the time, between Cologne and the Chatti. This was done by the Chamavi and Angrivarii, who neighbored the Bructeri upon their north, along with other neighboring tribes. More than sixty thousand fell in this conflict, which the Romans had been able to observe with satisfaction. Pliny the Younger (died 113) mentioned in a letter (2.7) that in his time "a triumphal Statue was decreed by the Senate to Vestricius Spurinna", at the Motion of the Emperor, because he "had brought the King of the Bructeri into his Realm by force of War; and even subdu'd that rugged Nation, by the Sight and Terror of it, the most honourable kind of Victory". The Bructeri eventually disappear from historical records, apparently absorbed into the Frankish communities of the early Middle Ages. The final mentions of their name seem to indicate this, and also that they had moved south from their old position north of the Lippe. 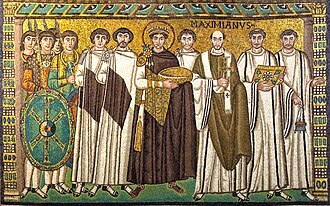 In 307-308, after having spent the year before fighting Franks, emperor Constantine fought the Bructeri over the Rhine and built a bridge at Cologne. In the Peutinger map, the Bructeri also appear as a distinct entity on the opposite side of the Rhine to Cologne and Bonn, the "Burcturi", with Franks to their north, and Suevi to their south. This has been interpreted to mean that the Bructeri had moved into the area previously inhabited by the Tencteri and Usipetes, which had in the time of Caesar been inhabited by the Ubii (who had in turn crossed the Rhine to inhabit Cologne as Roman citizens during imperial times). 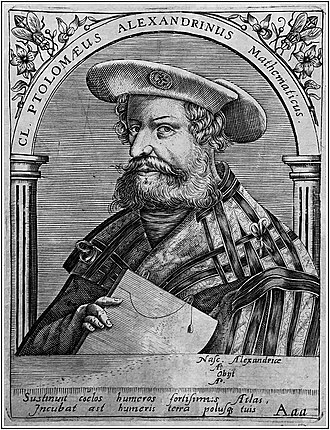 In the description of Claudius Ptolemy, the Bructeri and Sicambri are apparently close to their old positions, but with Suevi having inserted themselves upon the Rhine and the Tencteri and Usipetes much further south, near the Black Forest. This document is however suspected of resulting from confused use of primary sources. Sidonius, in his Poems, VII, lists the Bructeri among the allies who crossed the Rhine into Gaul under Attila in 451, leading to the Battle of the Catalaunian Fields. (After them are listed the Franks living along the Neckar River.) But it is possible, according for example to E. A. Thompson that Sidonius included names of historical tribes, for effect. 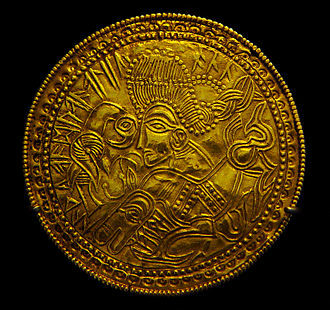 By 690 Bructeri were found in Thuringia, after the Saxons had conquered their homeland; their name is preserved in the names Großbrüchter and Kleinbrüchter, in the municipality Helbedündorf. Under the Carolingians the name of the Bructeri was still being used for a gau in the region near where they had originally lived, the so-called Brukterergau (or Borahtra, Botheresgau, Botheresge, Pagus Boroctra). This was however now south of the Lippe, and north of the Ruhr river, in the area classically inhabited by the Sicambri. This area is today the well-known and heavily populated Ruhr region of Germany. Ralf G. Jahn: Der römisch-germanische Krieg (9-16 n. Chr.). Inaugural-Dissertation, Bonn 2001. Günter Neumann, Harald von Petrikovits, Rafael von Uslar: Brukterer. In: Reallexikon der Germanischen Altertumskunde. Bd. 3, S. 581ff. ^ Schimpff, Volker (2007). "Sondershausen und das Wippergebiet im früheren Mittelalter - einige zumeist namenkundliche Bemerkungen eines Archäologen". Alt-Thüringen (in German). 40: 291–302. 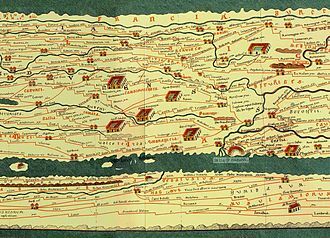 The Angrivarii were a Germanic tribe of the early Roman Empire mentioned briefly in Ptolemy as the Angriouarroi, which transliterates into Latin Angrivari. They are believed to be the source of the 8th century identity, the name appears earliest in the Annales and Germania of Tacitus as Angrivarii. In post-classical times the name of the people had a number of different spellings in addition to the ones just mentioned, Aggeri, Aggerimenses and they lived in a district called Angria, Angeriensis and Engaria. They lived in Engern, a region west of the Weser river not far from Teutoburg Forest, ancient Engern was a much larger district than todays community, comprising most of the country surrounding the middle Weser, including both flat land, as around Minden, and low hills. 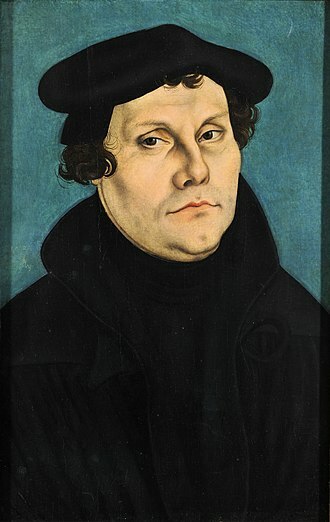 It became part of todays Westphalia, the name Angrivarii can be segmented Angri-varii meaning the men of Engern, parallel to Ampsi-varii, the men of the Ems. 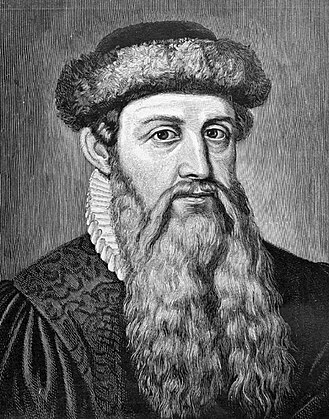 Julius Pokorny derives the first element from an Indo-European root *ang-, to bend, from this root are derived German Anger, English dialect ing, Danish eng, Swedish äng, Dutch eng/enk, and many other forms in Germanic languages, all meaning meadow, pasture. The second element -varii is most prolific among Germanic tribal names, commonly taken to mean inhabitants of and its precise etymology remains unclear, but there is a general consensus that it cannot be derived from the PIE root *wihxrós, surviving in English were-wolf. 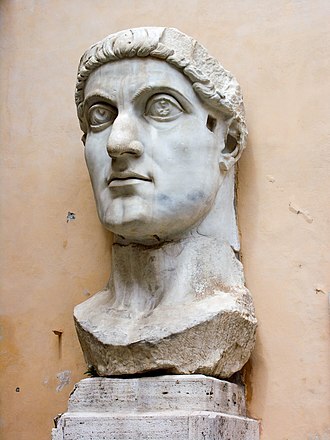 Although the Angrivarii receive brief mention in Ptolemy and the Germania of Tacitus, the wars began in the last years of the reign of Augustus, first emperor of Rome. 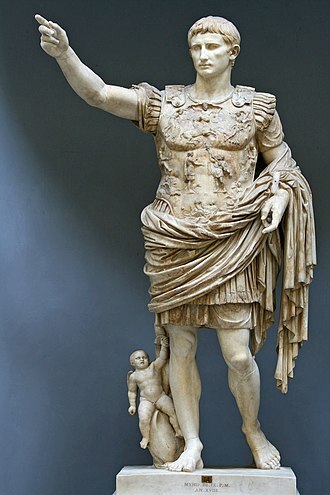 Augustus died an old but respected man in the year 14 and was celebrated with much pomp and he left a document to be read to the senate posthumously, expressly forbidding extension of the empire beyond the Rhine. News of the will was welcomed by the Germans, thinking it gave them a hand in the region. Germanicus found it necessary to pacify the border, which he did by a combination of scorched earth raids and offers of alliance with Rome - in short and carrot. These raids kept the army of the lower Rhine distracted from the possibility of mutiny, for punitive expeditions Germanicus used the Ems river, which flowed from the heart of the country occupied by the tribes that became the Franks. The Ems is a river in northwestern Germany. It runs through the states of North Rhine-Westphalia and Lower Saxony and its total length is 371 kilometres. The source of the river is in the southern Teutoburg Forest in North Rhine-Westphalia, in Lower Saxony the brook becomes a comparatively large river. Here the swampy region of Emsland is named after the river, in Meppen the Ems is joined by its largest tributary, the Hase River. It flows northwards, close to the Dutch border, into East Frisia, near Emden it flows into the Dollart bay and continues as a tidal river towards the Dutch city of Delfzijl. As the parties are now friendly states with an open border and it became an active issue in late July,1914, when the Imperial German government began plans to mine the whole of the estuary that they claimed, in preparation for the launching of the Great War. The Dutch government endorsed the declaration, thus relieving itself of an obligation to declare war on Germany for violating its neutrality. After the war, the dispute was resumed, past Delfzijl, the Ems discharges into the Wadden Sea, part of the North Sea. The two straits that separate the German island of Borkum from its neighbours Rottumeroog and Memmert continue the name Ems, ptolemys name for it was the Amisios potamos, and in Latin Amisius fluvius. The others used the same, or Amisia, or Amasia or Amasios, the identification is certain, as it always is listed between the Rhine and the Weser, and was the only river leading to the Teutoburg Forest. The Amisius flowed from the Teutoburg Forest, home of the Cherusci, with the Bructeri and these tribes were among the initial Franks. The Romans were quite interested in adding them to the empire, as the river was navigable to their ships, they hoped to use it to access the tribes at its upper end. 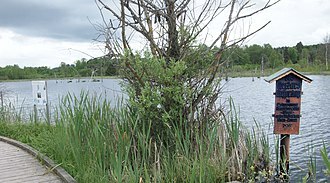 Surrounding the river for most of its length, were swamps and marshes. The Romans found they had no place to stand, could not pick the most favourable ground, because there was none and they were stopped at the Battle of Teutoburg Forest,9 AD, and were checked again 6 years later. The Revolt of the Batavi took place in the Roman province of Germania Inferior between AD69 and 70. After these initial successes, a massive Roman army led by the Roman general Quintus Petillius Cerialis eventually defeated the rebels. Following peace talks, the Batavi submitted again to Roman rule, but were forced to accept humiliating terms and a legion stationed permanently on their territory, at Noviomagus. The Batavi were a sub-tribe of the Germanic Chatti tribal group who had migrated to the region between the Old Rhine and Waal rivers in what became the Roman province of Germania Inferior. Their land, though potentially fertile alluvial deposits, was largely uncultivable, thus the Batavi population it could support was tiny, not more than 35,000 at this time. They were a people, skilled horsemen and swimmers. In return for the privilege of exemption from tributum, they supplied a disproportionate number of recruits to the Julio-Claudian auxilia. They provided most of the emperor Augustus elite regiment of German Bodyguards, the Batavi auxilia amounted to about 5,000 men, implying that for the entire Julio-Claudian period, over 50% of all Batavi males reaching military age may have enlisted in the auxilia. Thus the Batavi, although just about 0. 05% of the population of the empire in AD23. They were regarded by the Romans as the best and bravest of their auxiliary, in Roman service, they had perfected a unique technique for swimming across rivers wearing full armour and weapons. Gaius Julius Civilis was a prince of the Batavi and the prefect of a Batavi cohort. By 69, Civilis, the Batavi regiments and the Batavi people had become disaffected from Rome. 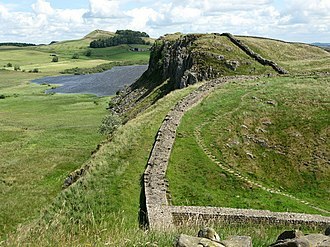 After the Batavi regiments were withdrawn from Britain in 66, Civilis and his brother were arrested by the governor of Germania Inferior on false accusations of treason, the governor ordered the brothers execution, and sent Civilis to Rome in chains for judgement by the Roman emperor Nero. 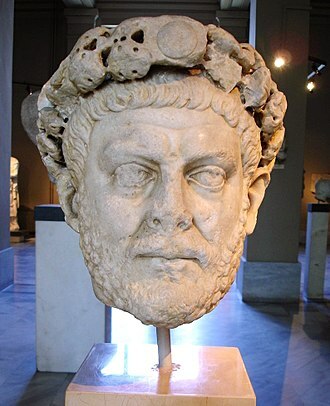 While Civilis was in prison awaiting trial, Nero was overthrown in AD68 by an army led into Italy by the governor of Hispania Tarraconensis, Nero committed suicide, ending the rule of the Julio-Claudian dynasty, founded a century earlier by Augustus. He acquitted Civilis of the charge and allowed him to return home. The Weser is a river in Northwestern Germany. On the opposite bank is the town of Nordenham at the foot of the Butjadingen Peninsula, the Weser has an overall length of 452 kilometres. Together with its Werra tributary, which originates in Thuringia, its length is 744 kilometres, the Weser river is the longest river whose course reaches the sea and lies entirely within German national territory. 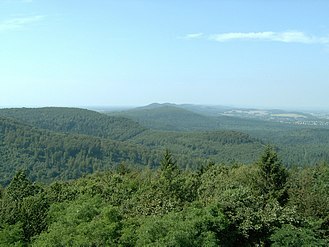 The upper part of its course leads through a region called the Weserbergland. Between Minden and the North Sea, humans have largely canalised the river, eight hydroelectric dams stand along its length. It is linked to the Dortmund-Ems Canal via the Coastal Canal, a large reservoir on the Eder river, the main tributary of the Fulda, is used to regulate water levels on the Weser so as to ensure adequate depth for shipping throughout the year. The dam, built in 1914, was bombed and severely damaged by British aircraft in May 1943, causing destruction and approximately 70 deaths downstream. As of 2013 the Edersee reservoir, a summer resort area. The Weser enters the North Sea in the southernmost part of the German Bight, in the North Sea, it splits up into two arms representing the ancient riverbed at the end of the last ice age. These sea-arms are called Alte Weser and Neue Weser and they represent the major waterways for ships heading for the harbors of Bremerhaven and Bremen. The Alte Weser lighthouse marks the northernmost point of the Weser and this lighthouse replaced the historic and famous Roter Sand lighthouse in 1964. The largest tributary of the Weser is the Aller, which south of Bremen. Dieter Berger, Geographische Namen in Deutschland, karsten Meinke, Die Entwicklung der Weser im Nordwestdeutschen Flachland während des jüngeren Pleistozäns. Ludger Feldmann und Klaus-Dieter Meyer, Quartär in Niedersachsen, exkursionsführer zur Jubiläums-Hauptversammlung der Deutschen Quartärvereinigung in Hannover. Hans Heinrich Seedorf und Hans-Heinrich Meyer, Landeskunde Niedersachsen, band 1, Historische Grundlagen und naturräumliche Ausstattung. The Neckar is a 367-kilometre-long river in Germany, mainly flowing through the southwestern state of Baden-Württemberg, with a short section through Hesse. The Neckar is a right tributary of the Rhine. From Plochingen to Stuttgart the Neckar valley is populated and industrialised, with several well-known companies, e. g. Daimler AG. Between Stuttgart and Lauffen the Neckar cuts a scenic, after passing Heidelberg, the Neckar discharges on average 145 m3/s of water into the Rhine, making the Neckar its 4th largest tributary, and the 10th largest river in Germany. The name Neckar was derived from Nicarus and Neccarus from Celtic Nikros, from about 1100 Black Forest timber was rafted downstream as far as Holland, for use in shipyards. During the 19th century, traditional horse-drawn boats were replaced by steam-powered chain boats that used a 155 km long chain in the river to haul themselves upstream towing barges. After 1899 a railway made it possible to transport timber to the port of Heilbronn, due to the construction of 11 locks, ships up to 1500 t could travel to Heilbronn in 1935. Silver-plated medal, denoting the property of C. Aquilius Proculus, the primus pilus who organized the retreat of Roman troops from the Rhineland and was betrayed by his local auxiliaries. (Tac. 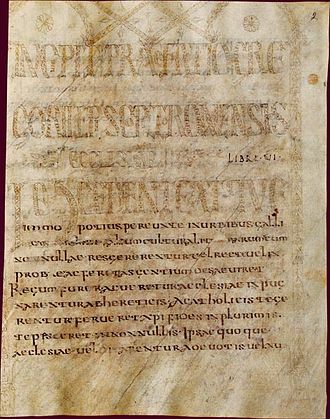 Historiae IV-18). The medal was found on the Kops Plateau in Nijmegen. 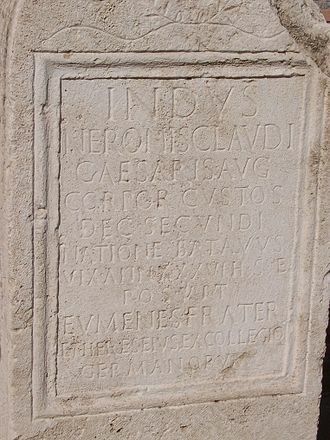 Funerary stela of a Batavian member of the Corporis Custodes of Nero. The Altes Rathaus (old town hall) as seen from the central market square. It was built in 1737 in Rococo-style. Founded in 1818, the University of Bonn counts Nietzsche, Marx, and German chancellor Adenauer among its alumni. French president Charles de Gaulle on state visit to Bonn (1962), the capital of West Germany until German reunification. Ara Pacis: processional frieze showing members of the Imperial household (south face). Germanicus is the toddler holding Antonia Minor's hand. Battle of Teutoburg Forest, by Otto Albert Koch (1909). 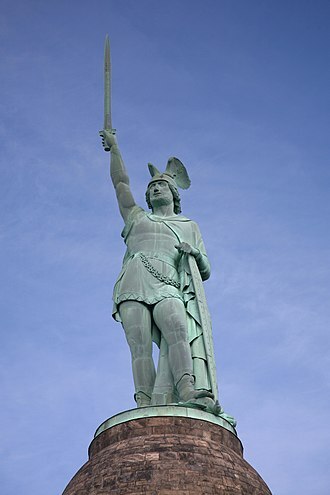 Statue of Arminius. This is an idealization; no real likeness of him exists.